Purchasing from a vendor's agent in the U.S.
Purchasing directly from the vendors in Asia. Purchasing through an agent or contract IPO in Asia. Establish your own IPO in Asia. Subcontract out both manufacturing and purchasing. Establish a manufacturing plant with local purchasing. Establish a joint venture or strategic alliance. All strategies vary in the exposure to "overall risk/overall return on your investment" quotients. Far East Resources allows you to outsource both engineering (manufacturing) and administrative (purchasing) functions without the need for investment in infrastructure or exposure to risk that tend to be the norm in direct-international relationships. Global sourcing is critical to the success of many companies in the electronics industry. Together with marketing, technology and control, it is a key factor to achieving global competitiveness. Marketing and technology develop the right product; sourcing and manufacturing provide it at the right price; and control delivers it to market on time. If a company does not have a global sourcing strategy and its competitors do, or if it is a faulty strategy, this could spell disaster. But with a properly defined and controlled approach, the potential for achieving global competitiveness is enormous. We begin with a technical review & process capability analysis in order to locate appropriate supplier(s) for the business being proposed. Once suitable vendors have been identified, we review the delivery requirements/target pricing and perform a cost comparison analysis between qualified vendors to better define a suitable partner. This is done to ensure manufacturability and reveal and recommend any cost-effective design changes that could yield a benefit in cost and or manufacturability of the commodity being sourced. The engineering team generates one complete set of datafile plot-outs for correlation & verification of the supplier's cam plot. Once approved, engineering checks & approves the supplier's working A/W & checks the drill program on a physically drilled sample for hole size & location and to determine if there are any missing holes. Lastly, engineering reviews and approves the plating fixture to guarantee that there are no missing test points. Oversee the final packaging of exported goods. Prepare the necessary export documentation. Coordinate with the airlines to secure space and schedule for timely departure from the foreign airport. Monitor transit to ensure product is delivered to the appropriate destination nearest to our customer. Define proper duty tariffs for imported product. Coordinate clearance efforts with custom inspectors/custom house brokers to prevent any unnecessary delays. Payment of all custom duties on behalf of our customer base. Manage Same Condition/Rejected Material duty drawback program for all customers that market their products internationally. 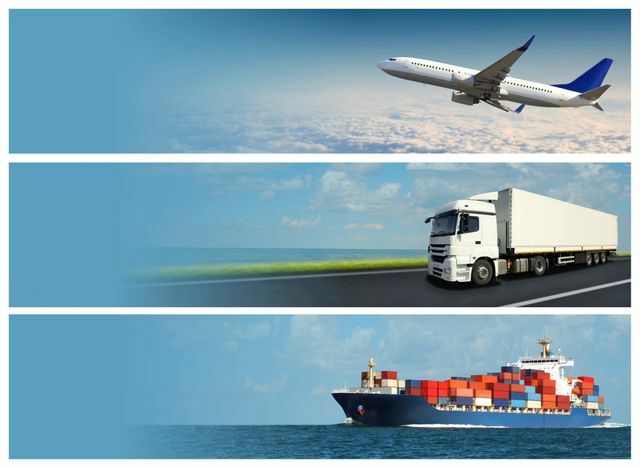 We are also linked via computer (ABI) to pre-clear shipments with U.S. Customs in Washington D.C.
We finance all purchases and offer standard terms allowing our customers to fully review the quality of the product purchased before accepting financial responsibility for the imported product. Our full involvement/all-inclusive approach to sourcing in the Far East allows for full confidence in purchasing in the Far East with no hidden costs or surprises.